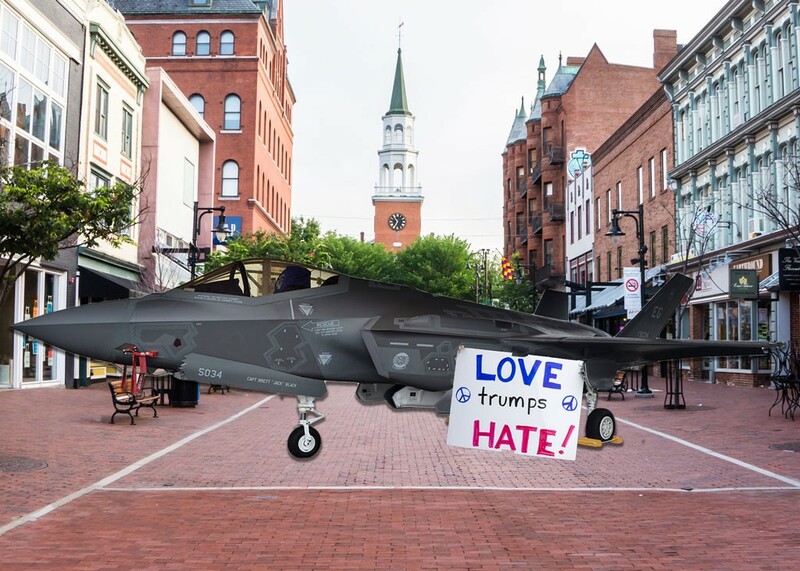 A Vermont judge has ruled in favor of designating Chittenden County as a sanctuary county for Lockheed Martin's F-35 Lightning II fighter jets. The decision, which comes two years before the jets are scheduled to arrive at Burlington International Airport, is an effort to put protections in place for the beleaguered planes before the inauguration of president-elect Donald Trump. In December, the president-elect released a statement through an official government communications network called "Twitter" lambasting the F-35s as out of control. He promised to save the government billions of dollars once he takes office. The F-35 fighter jets have long been the subject of contentious debate regarding their significant cost overruns and ongoing development issues. Chittenden County’s sanctuary status guarantees that municipal employees will not question the status of the controversial jets, or comply with any federal orders to round them up for deportation. Adding to the jets’ dismay has been the constant threat of having their jobs replaced by automated machines. It remains to be seen whether Chittenden County’s sanctuary status will be enough to protect the jets from president-elect Trump, who has already threatened to cut off any federal funding to designated sanctuary cities. In a follow-up tweet, Trump said he has asked Boeing to price out a comparable jet that would presumably replace the F-35. Details surrounding these replacement jets are still scarce, but sources say he has requested that they be be able to drop thousands of gallons of warm liquid onto unsuspecting populations below. The Parmelee Post is a weekly series featuring tough investigative reporting on news that hasn't happened. Yet.